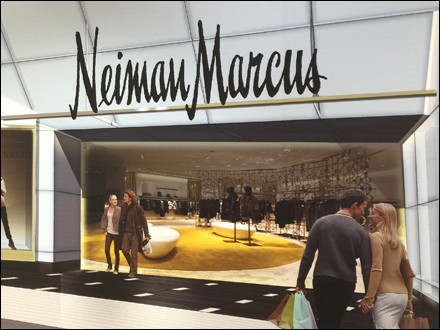 Fun use of an extremely realistic rendering of Neiman Marcus in what I judge to be a 1960’s illustration style. An outdoor scene filling and indoor wall adds a surrealistic effect. From some distances and perspectives you can loose yourself in the illustration and feel like you are in the scene itself. Step through the gallery of views to get a sense of this art’s presence.